James Cummings has celebrated more autumn Group One success with Avilius in the Tancred Stakes. Avilius has completed Sydney’s weight-for-age middle distance double in style with a facile win in the Tancred Stakes at Rosehill a week after his victory in the Ranvet. Stepping up from 2000 to 2400 metres within seven days held no fears for Godolphin trainer James Cummings with Avilius doing too well during the week not to run. In an effort his trainer described as imperious, the odds-on favourite surged forward rounding the turn in a race where the lead was disputed by default with no jockey committed to the forward position. Avilius’ 2-1/4 length victory over Big Duke gave his rider James McDonald Saturday’s Group One double after his win on an equally impressive Verry Elleegant in the Vinery Stud Stakes. Cummings said he was as confident as he could be heading to the $1.5 million race. “As careful as a trainer has to be about being arrogant coming into a big race meeting, his effort today was imperious,” Cummings said. “He’s a serious horse and fully fit . “His effort today was imperious. None of those things happened with Avilius ($1.60) oblivious to the chopping and changing up front and running his own race. Big Duke ($12) and New Zealand mare Rondinella ($20), who ran third, both firmed for the Sydney Cup (3200m) in two weeks as did Red Cardinal who ran seventh in the Tancred. While those handicappers were eye-catching from the point of view of the Cup, Avilius has now proven himself at weight-for-age with the imminent retirement of Winx opening up the ranks. 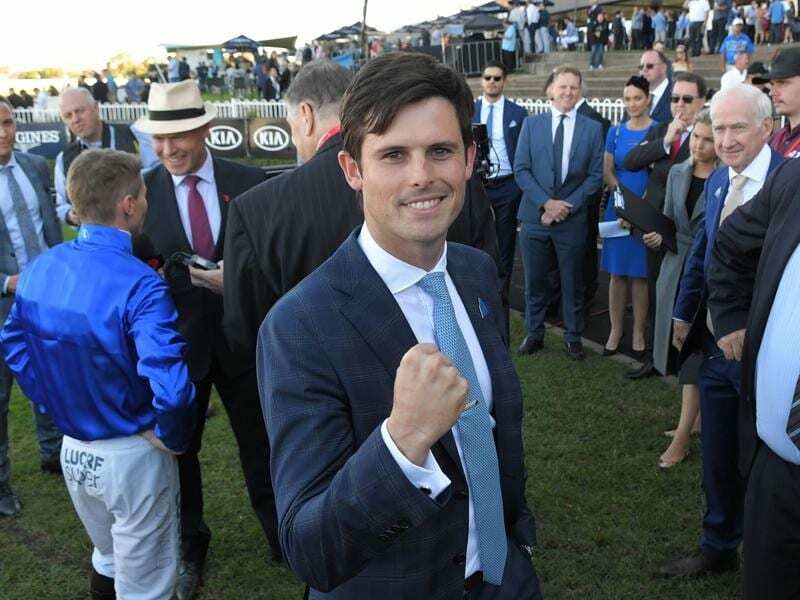 “This race has toughened him up for even greater weight-for-age targets later on,” Cummings said as he all but ruled out a tilt at Winx in the Queen Elizabeth Stakes. McDonald was having his first ride on Avilius, a Listed winner in France and successful in three starts in Melbourne and five in Sydney where he is unbeaten. “I shouldn’t get paid for that one I don’t reckon,” he said. “I know what all the fuss is about with him now. What a super horse, push-button. Rondinella is trained by Roger James who prepared the last horse to claim the Ranvet-Tancred double before Avilius, Silent Achiever (2014), and was pleased with his charge’s effort on a wet surface not to her liking. “I was confident she’d run a big race but when the rain came this morning that really flattened me,”he said. Red Cardinal and Yogi were among the unplaced brigade on Saturday but pleased their riders from a Sydney Cup viewpoint. Kerrin McEvoy said Red Cardinal was not comfortable on the ground while Craig Williams said Yogi would appreciate a return to a handicap.